The Internet has been a constant generator of Game of Thrones memes, and the most recent episode, Game of Thrones season 6, episode 7, hasn’t been exempt from the treatment. Coming out of this episode, Lyanna Mormont memes have been the most prevalent, given that the character has become the hot topic of the community. And what’s even more impressive is that she only needed all five minutes of screen time to create tons of clever and funny GoT memes. 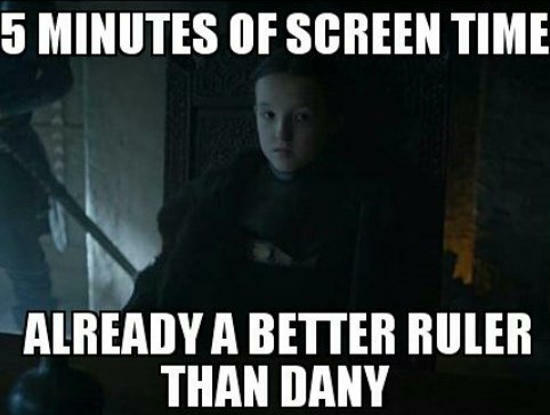 Learn more about Lyanna Mormont and her place in the series hierarchy—and that of the week’s best Game of Thrones memes. 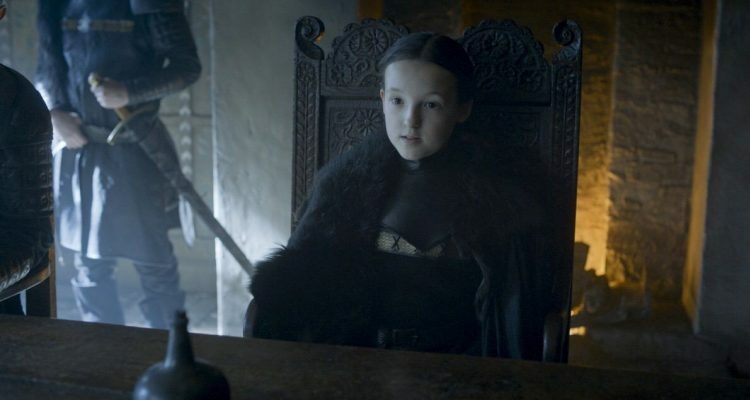 Lyanna Mormont is played by newcomer Bella Ramsey (for those thinking her name makes for Game of Thrones memes in and of itself, the Bolton’s name is spelled “Ramsay”). 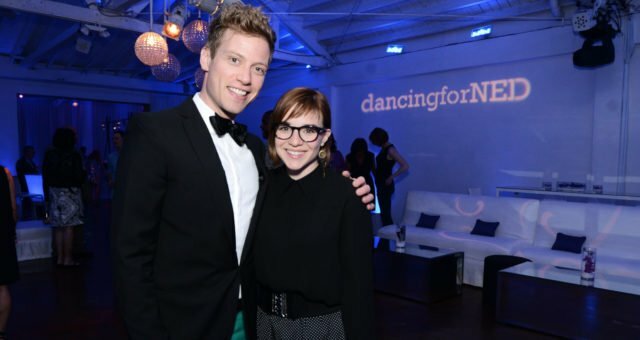 And when we say “newcomer,” we mean it literally: this is her first acting credit ever! This new character first appeared in Game of Thrones season 6, episode 7, “The Broken Man,” in which Jon Snow and Sansa Stark asked her for help in their war against the Boltons. However, the House Mormont head was quick to burn the pair better than any dragon could, pointing out that Sansa’s brother Robb killed her mother; that technically, neither of them are Starks; and that Sansa could also be classified as a Bolton or a Lannister. She then refused to sacrifice Bear Island lives for the war of another and sent them on their way. When it comes to GoT memes, this image is almost more fact than joke. That being said, we have to wonder, though: does this say more about how great a character Lyanna Mormont is or about how Daenerys Targaryen is kind of a failure? Well, she is only 10 years old, even a child ruler is still a child. 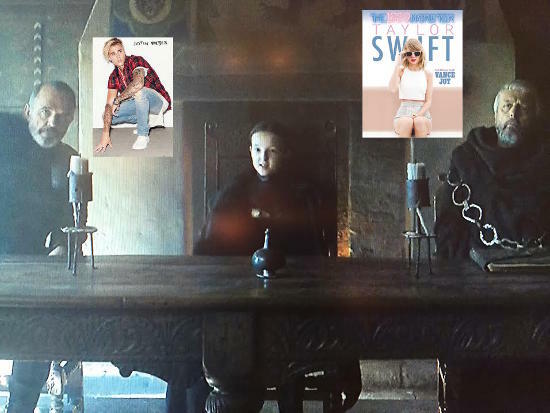 Maybe she’d be convinced to help take back the north if Bieber’s next concert was in Winterfell? Or they find some way to block House Mormont’s access to the iTunes store? 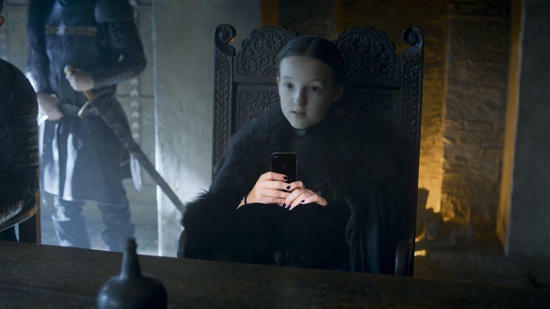 “She’s a Millennial” seems to be a popular point of reference for Lyanna Mormont memes, given her young age. Besides the joke here—that someone that young can’t stay off their phones, even during conversations—you have to wonder how different things would be in Westeros if they had modern technology. Maybe they’d solve disputes in a video game instead of all this war and murder nonsense? 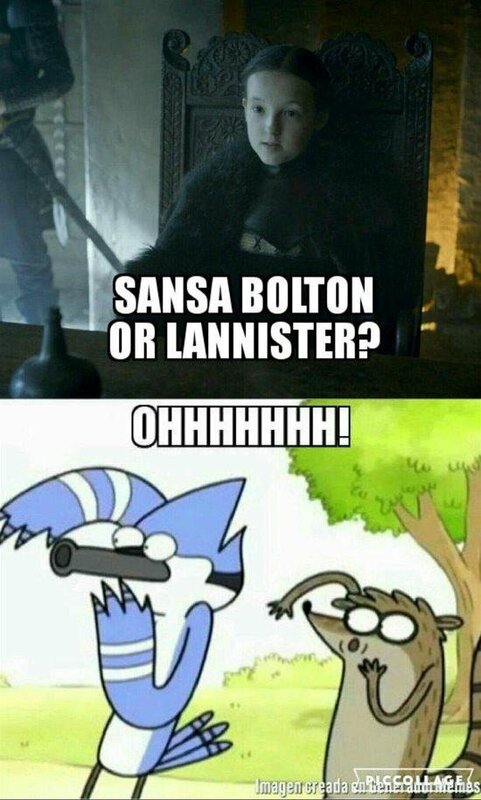 This was probably a lot of people’s reaction when they first saw Lyanna Mormont deliver the verbal smackdown on Sansa Stark (or whatever her last name is). 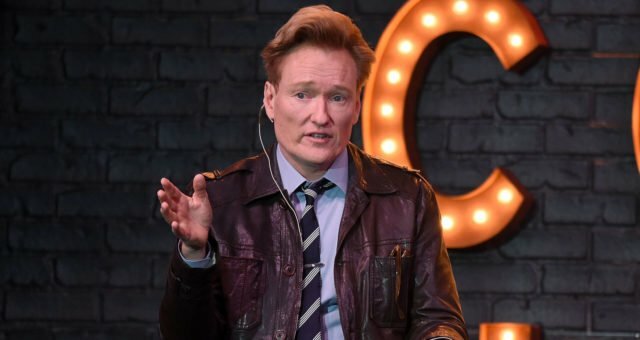 Granted, viewers probably didn’t say it with the same level of enthusiasm that Regular Show’s Mordecai and Rigby do. 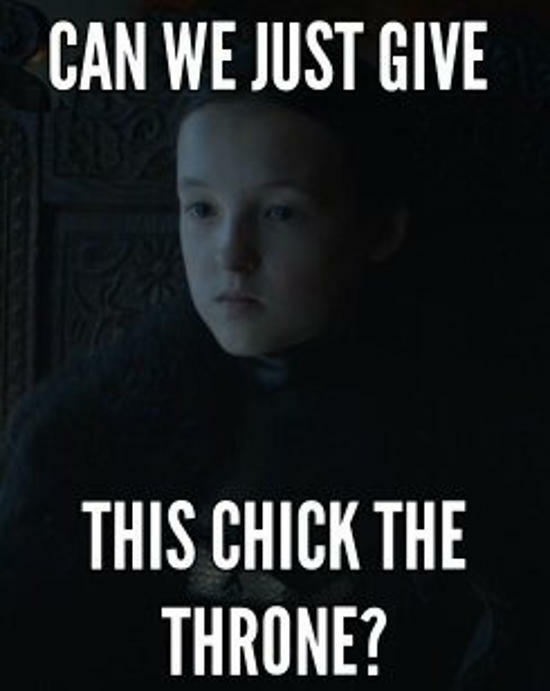 Speaking of what everyone was thinking, the last of our top Lyanna Mormont memes features the obvious question to ask following her appearance. 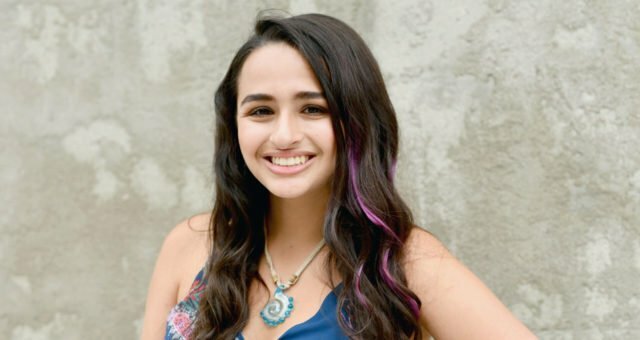 It will definitely be interesting to see if the character appears again; perhaps, given her great popularity despite her brief time on screen, they’ll even rewrite future episodes and film extra scenes just to add more Lyanna.